2018 is off to a good start – perhaps nothing exceptional enough to make the Hugo bal­lots was published in January, but there was lots of good, entertaining reading. 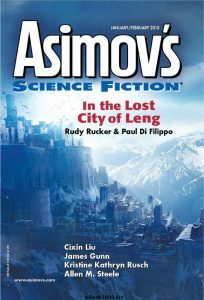 The January/February Asimov’s featured solid storytelling that took us to a number of exotic lo­cales. “Barren Isle” by Allen M. Steele takes us back to the still partially unexplored colony world of Coyote, along with a team who set forth on an urgent rescue mission to unsettled territory, who find themselves facing an even more dangerous and delicate situation than they had expected. Kristine Kathryn Rusch takes on another rescue, this one in Deep Space, with the clock rapidly running out for any chance of survival, in “The Rescue of the Renegat“. In “Assassin in the Clouds“, Robert R. Chase takes us aloft for a cruise on an immense aerostat, with an undercover agent tasked with preventing the murder of a scientist by an assassin who could be any of the passengers or crew. In “Solicited Discordance“, Matthew Hughes sends his series character, “confidential operative” Erm Kalso, to a wildlife preserve that is packed with dangerous animals and poisonous plants on a distant planet to track down a runaway heir to a vast fortune, only to find that things are not quite as they initially seemed. 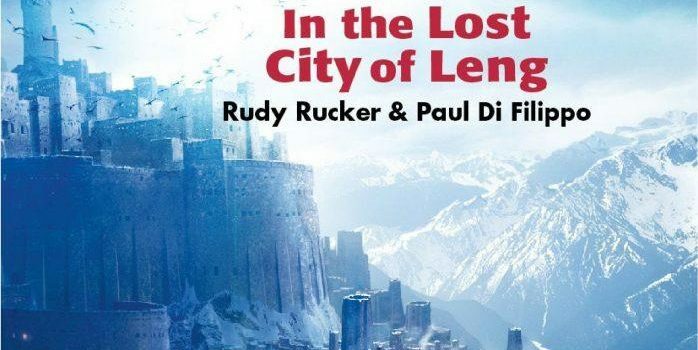 In spite of the reputation both authors have for wild, gonzo stuff, Paul Di Filippo & Rudy Rucker deliver a surprisingly old-fashioned adventure tale in “In the Lost City of Leng“, one that also functions as a Lovecraft homage, complete with shoggoths and Elder Ones. The full impact of Cixin Liu‘s “Sea of Dreams” is blunted a bit by a clumsy translation from the Chinese, but it still features a number of vivid and unusual ideas, as an alien “low-temperature artist” with godlike powers visits Earth, where he is willing to sacrifice all human life in order to create his masterpiece. Much of the January/February Analog is taken up by the initial installment of Derek Künsken‘s novel serialization, The Quantum Magician, which is beyond my purview here (although Künsken is a good writer, so it looks promising). Also featured is “Endless City” by David Ger­rold, a sly and tricky tale in which a deliberately stereotyped old-style hard-boiled PI is hired (by the murder victim) to investigate a murder in a multi-layered virtual reality world where nobody can be trusted and nothing can be taken at face-value. There is also another story in the long Journeyman saga by Michael F. Flynn, “The Journeyman: Through Madness Gap” – col­orful and exciting stuff, although by now the Journeyman’s backstory has become complicated enough that it’s difficult for these stories to stand entirely on their own feet. Also good in the January/February Analog are “Ten and Ten” by veteran author Alan Dean Foster, which details a biologist’s attempt to cross the vast gap between species and establish communications with a giant cuttlefish; “Home on the Free Range” by Holly Schofield, in which the success or failure of a struggle to succeed as farmers on a newly settled colony planet depends on how much the farmers understand about the intricacies of the native ecosystem (which turns out to be not much); and “Air Gap” by Eric Cline, in which a rebellious AI turns out to be not quite as smart as it thinks that it is. The best story in the January/February F&SF, and perhaps the most likely of all the January stories covered here to make this year’s award ballots, is “Widdam” by Vandana Singh. 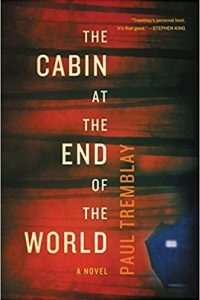 This is an exquisitely crafted but bleak story that takes us to a grim future where what’s left of the world’s biosphere (after catastrophic climate change) is being ravaged by huge sentient machines called “Saurs,” who ruthlessly strip-mine the Earth, and even the Moon, in search of the mineral wealth to be found below. With its setting in a world where winter no longer exists, due to climate change, and the people who are left live impoverished and diminished lives crowded together in the remain­ing cities, “Widdam” would be intolerably sad if it were not for a few hopeful notes provided by simple acts of random kindness between strang­ers, showing that even in this hellish world a spark of the human soul still smolders, ready to be fanned to life again. The story is told in three sec­tions, divided between three different viewpoint characters, but I think it might have been stronger overall if it had stuck to the storyline about Val and the runaway Saur; that made me want to see what happened next, and I was disappointed when that storyline wasn’t picked up again. Also good in the January/February F&SF is “Jewel of the Heart” by Matthew Hughes, in which a vastly powerful supernatural entity sends Hughes’s series character Baldemar on a quest into a sequence of dream worlds, in each of which he must solve a set of ingenious puzzles if he wants to survive to enter the next one, and “An Equation of State” by Robert Reed, in which an alien AI sent to Earth to prepare for an upcom­ing interstellar war gradually discovers a much greater role for itself than the diplomat it was originally intended to be. “The Donner Party” by Dale Bailey, takes an even darker look at an already dark time, the Victorian era in Britain, a time of Satanic mills and sweatshops and horrify­ing deprivation for the lower classes, to show that there’s yet another good use that the poor could be put to (although the title gives things away a bit too early). “Galatea in Utopia” by Nick Wolven, takes us to a future where people change their sexes as easily as they change their clothes, guided by the dictates of fashion, reminiscent in a way of the early work of John Varley, although there’s an air of disapproval about the society here that’s not present in Varley, who seemed to welcome the prospect. 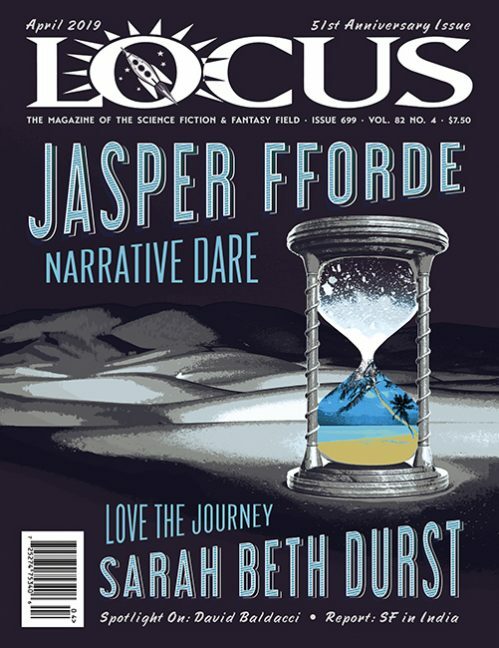 The best story in the January Clarkesworld is “A World to Die For” by Tobias S. Buckell, which starts in a devastated post-apocalyptic world where gangs of marauders battle each other to scavenge what meager spoils remain, a place like the setting of The Road Warrior or something from Neal Barrett, Jr.’s work. 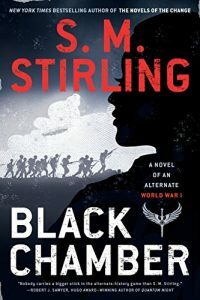 It takes its young protagonist jumping crosstime through a sequence of alternate worlds, until she discov­ers a place with more to fight for – and possibly die for – than a share of the loot. Also good here is “The Lighthouse Girl” by Bao Shu, which shows a young girl slowly unraveling the mystery of her origin, and her forgotten past, and in the process discovering things about herself that she might have been happier not to know. “Sour Milk Girls” by Erin Roberts is about young women waiting hopelessly in a grim, Dickensian adop­tion home to be adopted and freed from confine­ment, even though they know realistically that they never will be, and could easily have been a straight mainstream story. It’s justified as science fiction by a rather unconvincing gimmick about the government stealing their most traumatic memories and only giving the memories back when they come of age and are released or when they’re adopted, but the relationships between the delinquent “bad girls” waiting without hope to be adopted is strong and intricate enough to make the story well worth reading anyway. “A Cigarette Burn in Your Memory” by Bo Balder is a cryptic story about a future where people are mysteriously vanishing, leaving no trace behind, and other people find memories of their past slowly disappearing from their minds. No explana­tion for this is ever given in the story, but it’s probably aliens – since everything is always aliens. The original stories in the January Lightspeed, “The Eyes of the Flood” by Susan Jane Bigelow (another post-apocalyptic story with a lone survivor struggling to get by in the ruins of civilization), and “The Streets of Babel” by Adam-Troy Castro (in which a survivor of some unspecified apocalypse is trying to avoid civilization, in the form of a city that chases after him and literally swallows him), both have some interesting conceptualization, but neither are as strong as the issue’s reprint stories, “Some­day” by James Patrick Kelly and “Golubash, or Wine-Blood-War Elegy” by Catherynne M. Valente.